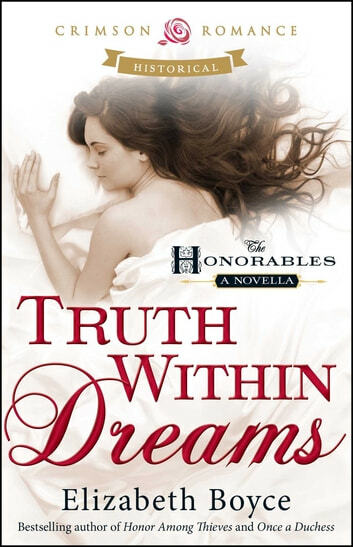 Truth Within Dreams | Rakuten Kobo. When Henry De Vere wakes up naked in bed with his longtime friend Claudia Baxter, it is his fondest dream and his worst nightmare come true. Could he truly have compromised one of his dearest friends without even the benefit of remembering it? Plagued by somnambulism his whole life, Henry fears his baser nature has asserted itself, and insists on doing the honorable thing to marry Claudia. Claudia’s plan to stage her own ruination and escape marriage to the churlish and elderly Sir Saint had seemed foolproof. She was sure the kindly Henry wouldn’t mind helping her out . . . but somehow she hadn’t counted on him actually proposing. Their illicit encounter awakens feelings long buried for each. Will this preposterous scheme result in a happier ending than either could have hoped for?